Things you need when making the jewelry are all here. Thinking about your versatile design, different metal color are all ready. So convenient, just take them home now. 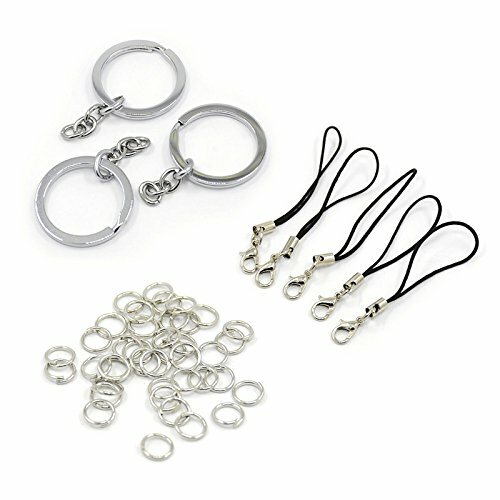 Size: Iron Jumprings: about 6mm in diameter, 0.7mm thick; Cord Loop Mobile Straps: about 60mm long, hole: 3.5mm; Alloy Key Chain: about 33mm in diameter, 26mm inner diameter, 3mm thick, Chain: 30mm long.